IO Designer Challenge- Anything goes! Good Morning! Are you all ready for Christmas? I am pretty much ready. We just have to pick up a Ham and some Potatoes and I think we're good to go!!!! This is the last challenge of 2017 and Anything goes!!! Make sure you visit the IO Blog to get all the details for the challenge and to upload your creation! Here is who is on for the Challenge today! Also we have a new Team Member!!! Please give the Super Talented Giovanna Smith a warm welcome! Helllloooooooo!!!!! I hope you enjoyed our Valentine's Blog Hop!!!! Now we're back to Holiday's again!!!! I used scrap Vinyl from my Silhouette along with the Ho Ho Ho Die to create this last minute ornament!!! 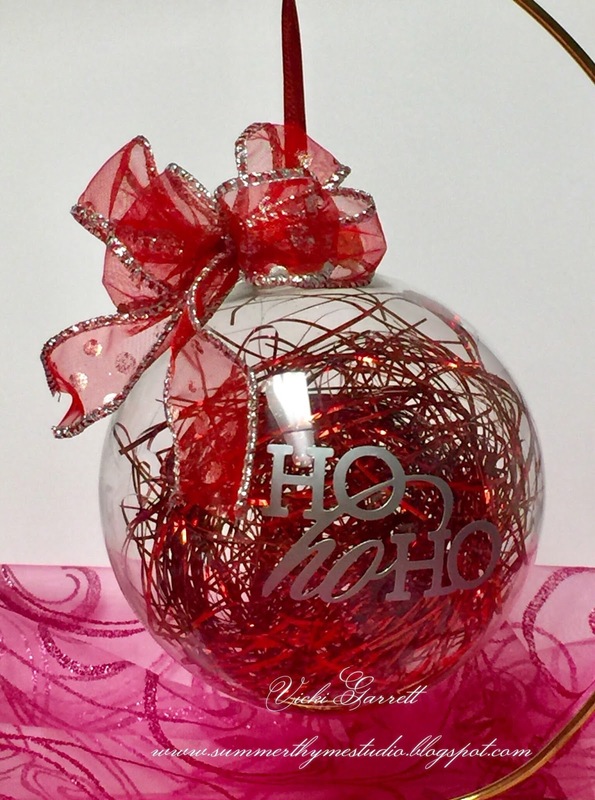 I filled the ornament with some Decorative Metallic Shreds and topped it with this Festive Bow. 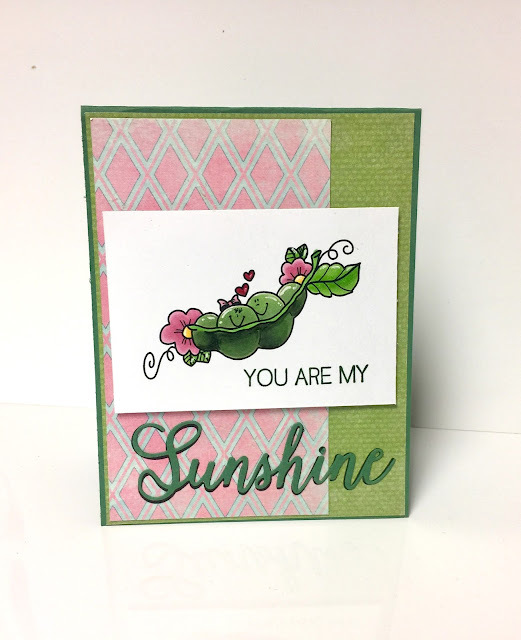 The thing is, you can use any of your die cuts with Vinyl,which opens up the possibilities for a multitude of projects! Be sure to Submit your Holiday Projects/Cards to THIS POST on the IO Blog. You can also get all the details on how to create your way to a fantastic gift certificate. Today i'm sharing Bugs and Bees and Peas!!!! Oh My!!!!!! 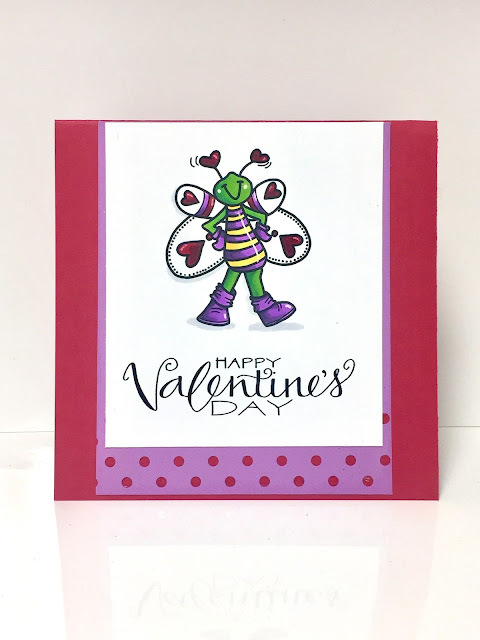 For my first card I coloured up this super adorable Flutter Love Stamp. Isn't it just the cutest?? I LOVEEEEEEEEE!!!!!! I paired it with this Whimsical Happy Valentine's Day sentiment. We have lots and lots of beautiful new stamps to share AND a Gift Certificates to give away! The hop will run for 3 days (12/4/17 -12/6/17) with a list of participants on the Impression Obsession Blog each day at 6am EST. Visit our fabulous IO Design Team’s blogs for a chance to win one of FOUR $25 Gift Certificates! This little image makes my heart smile!!!! 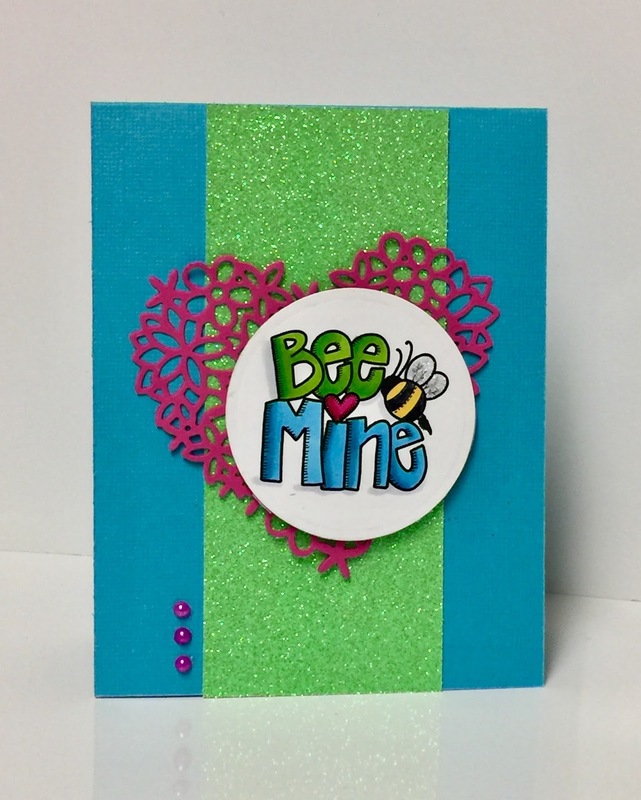 Bee Mine is a great stamp for valentines with the sentiment and image all in one!!!! It's wold be great for kids school valentine cards as your the image is easy to colour and thus perfect for your little creative one!!!! Four random winners will be picked from all comments on all of the hop days. Only one comment per blog per day please. And for one more super cute image!!!!! I sure hope you enjoyed this hop!!! I have some more creations to share with you over the next couple of weeks! and all winners will be announced Monday December 11th. 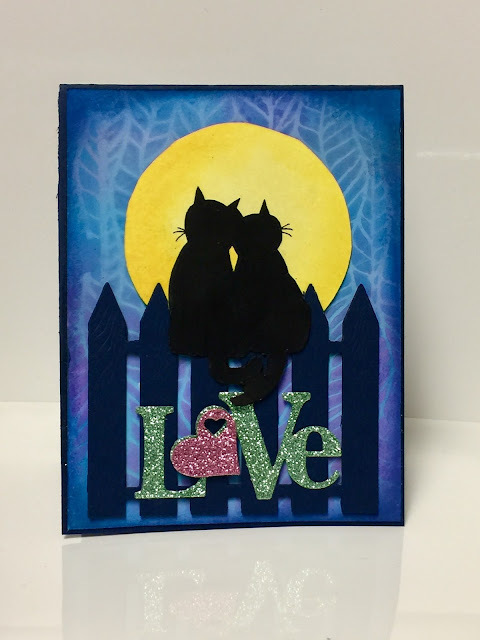 For my first card, I wanted to share the LOVE CATS image with you. Then, cut large circle and sponged it with yellow to create a moon. Lastly, I added the LOVE die sentiment., cut out in glitter to add some pizzazle. 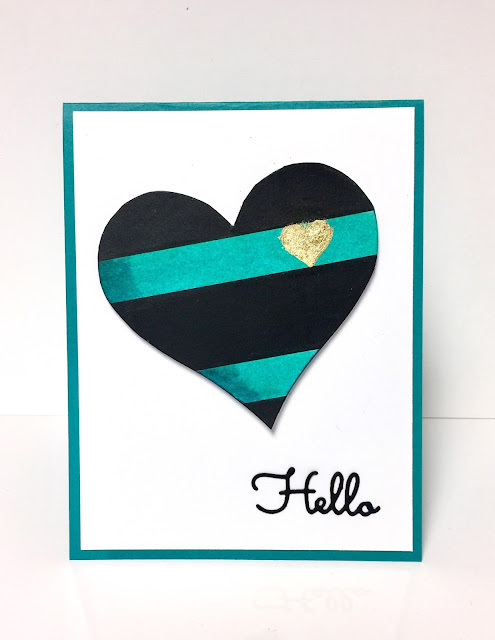 This card features the Wide Stripe Heart stamped the Heart with Black and then coloured in the white area with Teal Marker. I added some gilding foil to the small heart. 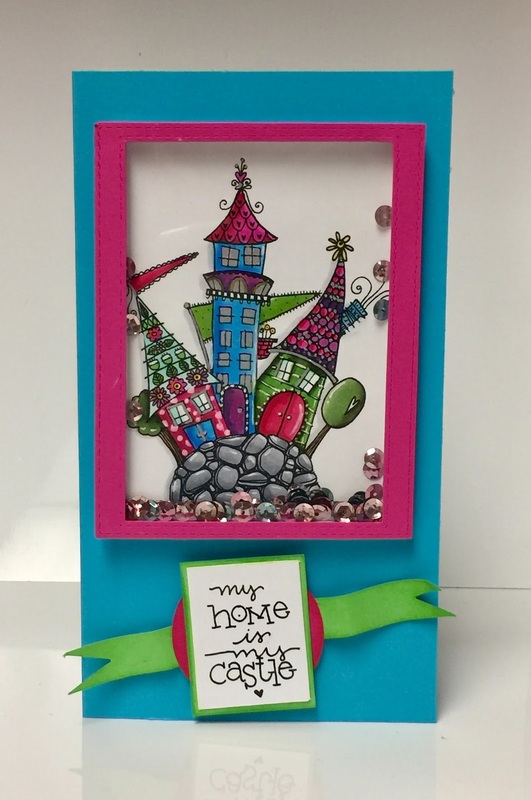 Lastly, I added the Hello sentiment from the Greetings Die Set. The hop will run for 3 days (12/4/17 -12/6/17) with a list of participants on the Impression Obsession Blog each day at 6am EST. 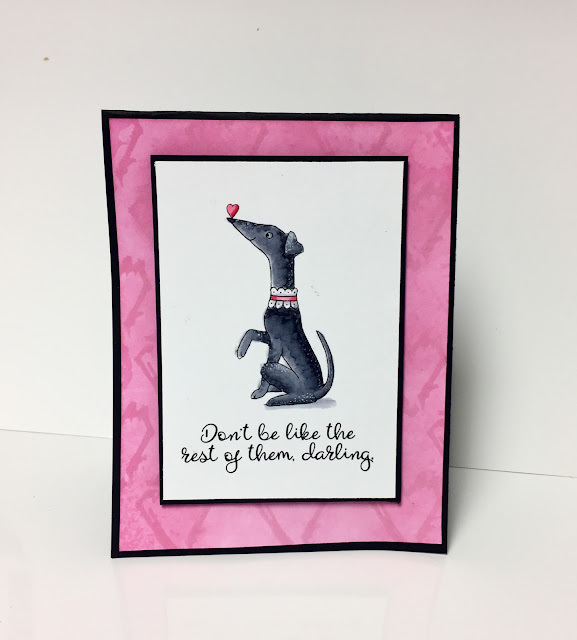 Visit our fabulous IO Design Team’s blogs (only one comment per blog please) for a chance to win one of FOUR $25 Gift Certificates! 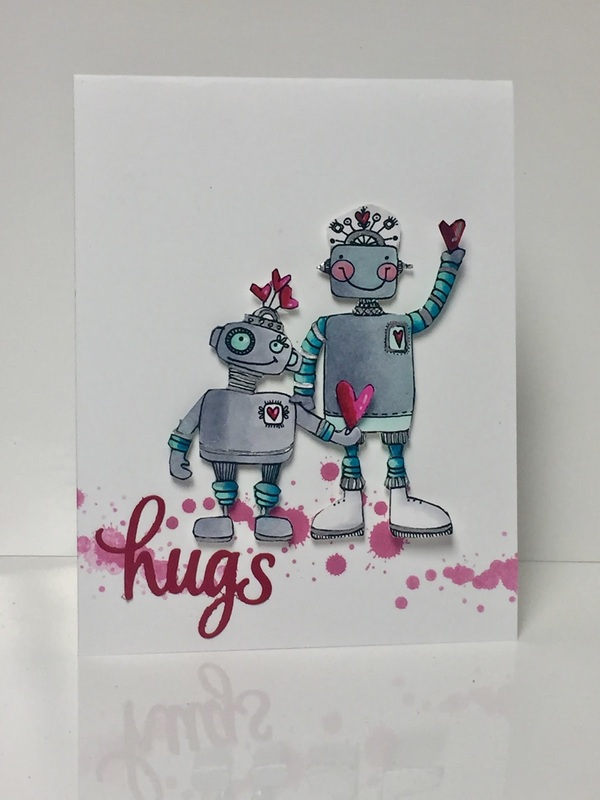 For my first share, Willy the Robot D19698 and Bitty D19697are stealing the show!!!!! Good Luck in the Draw!! !